Sometimes 'spell-checking' an article or document is not enough. You write, you read, you write some more and read it over and over again - more often than not, the writer reads his own errors without realising they are there. That is why it is essential that more scrutiny is required to ensure your project is professional and clear to your readers. This is where I come to the rescue! Call me now! This is why professionals and academics alike will send their work off to a proofreader and/or copy editor for a final proofing. The experienced copy editor will critique the document for any grammatical errors, bad punctuation and of course, the common typing errors. You very rarely get a second chance once your work is completed and submitted. 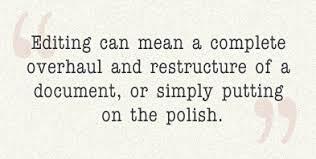 Copy editing (also copy-editing, copyediting) is the work that an editor does to improve the formatting, style, and accuracy of text. Unlike general editing, copy editing might not involve changing the content of the text. 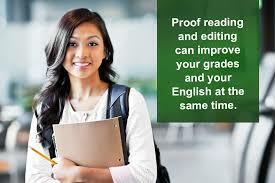 For all your proofreading needs, contact me by visiting my contact page. ​It's been such a busy year and so inspiring to find that more people are writing. This year has been one of insight and inspiration - new authors showing their true colours; and return authors astounding me!